We’re selling all ACCESS® Roll-Up Covers and ROCKSTAR™ Hitch Mounted Mud Flaps for 25% off MSRP and all SNOWSPORT® Utility Plows for 10% off MSRP. These prices last from 12:01 a.m. Thursday, February 19, to 11:59 p.m. Monday, Feb. 29, 2016. We have three online stores where these prices will be available. Our new mud flap store. Also, we have a little bonus for you. Type JEEPING in the promo code box at checkout and we'll include something extra for you with any order of $300 or more: An ACCESS® Motion LED Light. 25% off all ACCESS® Roll-Up Covers. 25% off all ROCKSTAR™ Hitch Mounted Mud Flaps. 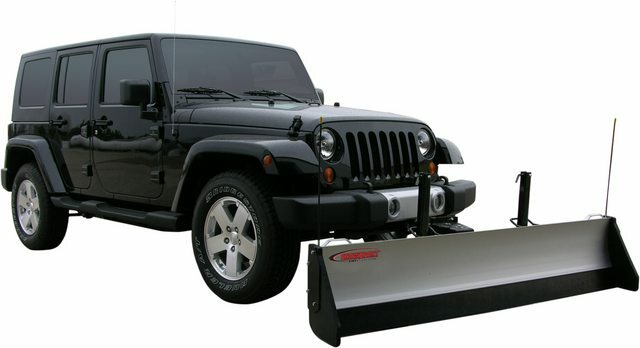 10% off all SNOWSPORT® Utility Plows. 15% off all ACI Off-Road LED Lights. These short-term discounts are available at shop.agricover.com, getmudflaps.com and buysnowsportplows.com.